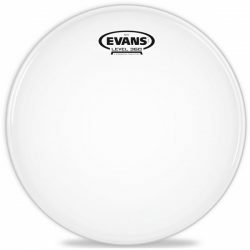 The Evans G2 Coated has a warm attack and a moderate sustain. 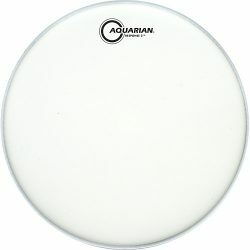 This is a versatile and durable drumhead that is great for medium to higher volume drumming. The Evans G2 Coated is made with two plies of 7mil film, and a coated top layer. 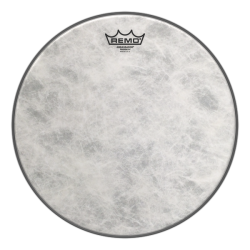 With no added dampening, this is a very well balanced drumhead. 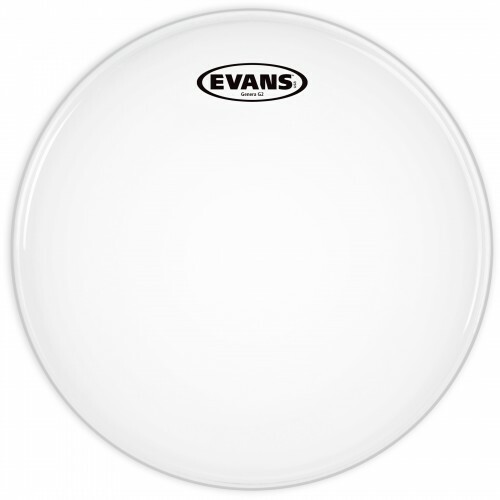 It has slightly more focus than the single ply Evans G14, and is more subtle than the Evans G2 Clear. The Evans G2 Coated provides a moderate amount of sustain, and overtones are kept from ringing out of control. 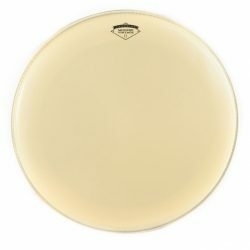 The top coating is great for both drumsticks and brushes, and adds a little extra sensitivity to the head. 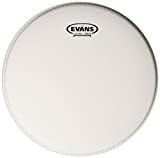 The sound of the Evans G2 Coated is well balanced and slightly warm. 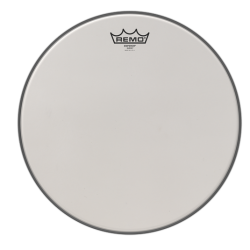 The coating helps to reduce some of the higher frequencies, creating a moderate warm attack. 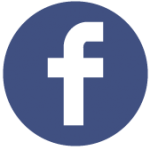 After the attack, a moderate balanced to warm sustain follows. 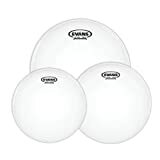 Overtones are present but are kept under control, thanks to the two ply design and top coated layer. 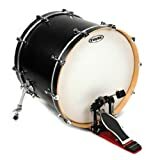 This sound is great for both studio recording and live playing, at moderate to higher volumes. 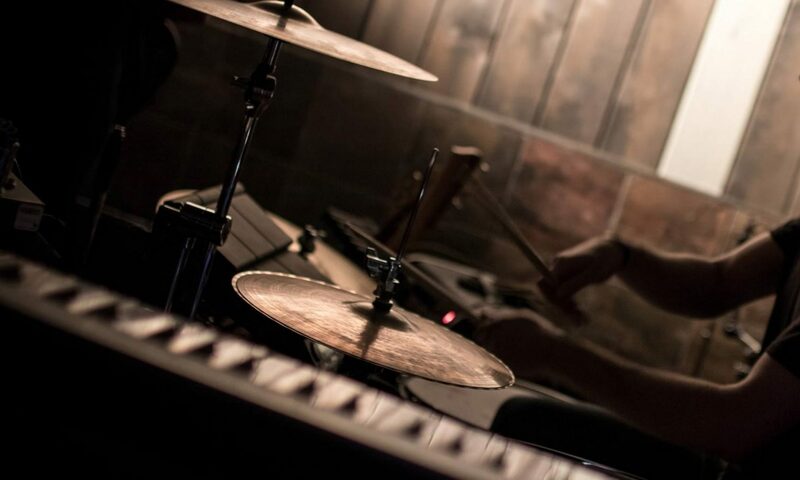 On toms at very high volumes, these heads benefit from microphones due to the warmer attack. 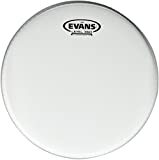 Tip: If you need a slightly louder drumhead for very high volume drumming, take a look at the Evans G2 Clear. 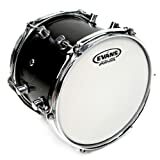 While the center produces a more focused sound, the Evans G2 Coated can also be hit around the edge to produce some nice colourful overtones when needed. For a versatile and fairly open drumhead that can take some heavier hitting, the Evans G2 Coated is a great choice. It will help you avoid excessive overtones, while still allowing your drums to resonate.